24" Handle length, welded to a solid steel base. Unpainted handle area. Test yourself against the best. Got 300 in you? Solid 2" mass of steel. Weighing in at roughly 23 lbs empty! Being used more and more in NAGS Grip Sport contests. 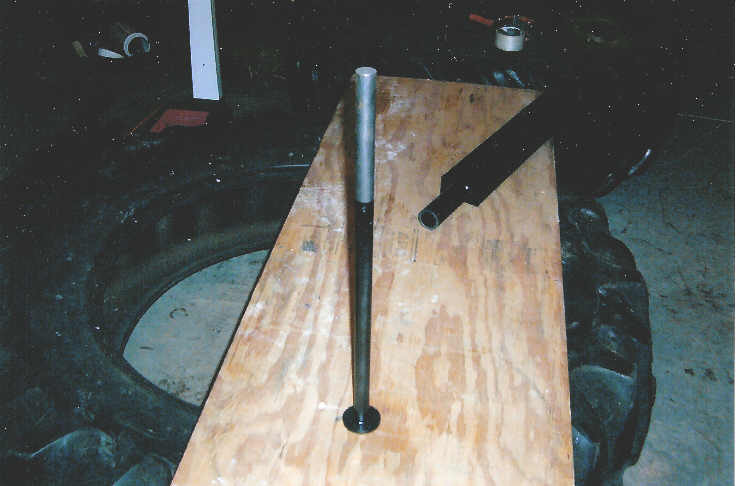 Build finger power, thumb pad pressure, and if you spin the bar on the pull a super strong pronator. Can you pull 200 on the Monster? 1.5" Diameter. Great for overloads for the 2" V-bar. What started off as a designed for a lighter and more functional version of the popular 2” vertical bar has evolved into a fully adjustable devise that can use all the popular thicknesses as well as a few new ones! Same height and gripping surface as its predecessors but at a reduced weight and 1.9” base to fit even the tightest of competition plates and bumpers. 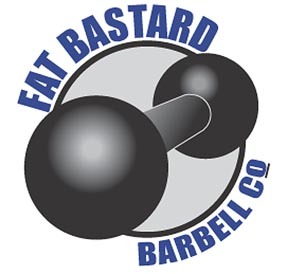 Will Count toward FBBC V-Bar Certifications. 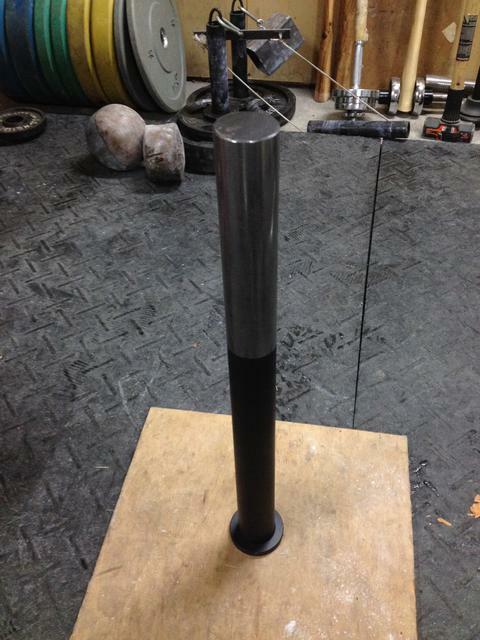 V-bars will be shipped in two packages the heads separate from the base. USPS has a insane high rate loosing, breaking, throwing out of the truck, with these packages.